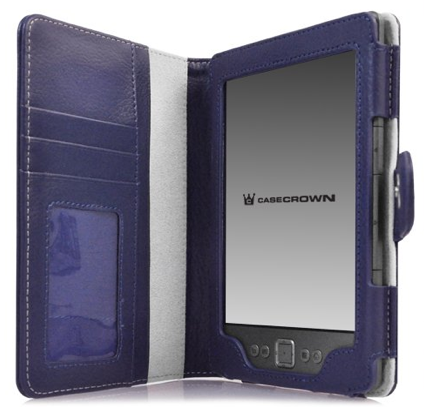 My final choice was the CaseCrown Regal Flip Case for Amazon Kindle 4th Generation. The case itself is advertised to measure 165mm by 121mm (6.5″ x 4.8″) and has a depth of 13 mm (0.5″). I have heard reports that this is too small to completely cover the Kindle 4 but it is perfect for the Kobo Touch. To further aid people who may be looking for a perfect Kobo Touch cover (this is it!) I will add further details below. Point 1. Size and Fit. and, as I say, it fits perfectly. This case has some reinforcing inside so that when you drop it (accidents are inevitable) the exterior folder part cushions the fall. This means that 95% of the time your actual Kobo doesn’t even make contact when it falls. 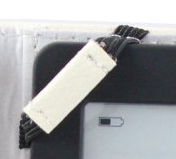 Your Kobo is held by 6 sturdy straps, 2 at the bottom, 2 on the right and 2 on the left. These are the two on the clasp side. The top is open so you can push your e-reader in. I have NEVER had my e-reader fall out of the top side and I’ve been using it every day for just over 6 months. 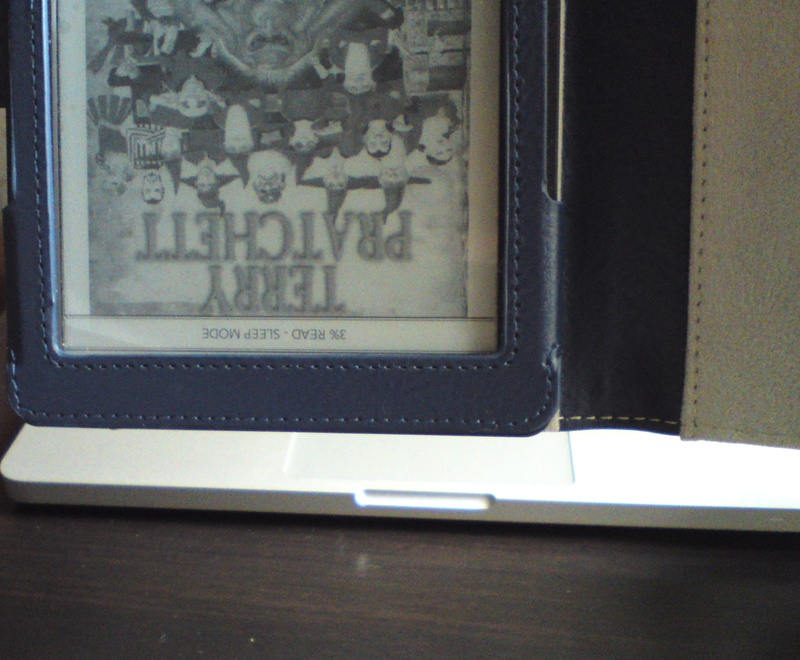 I took a picture of me holding my e-reader (by the non e-reader side of the case of course!) upside down over my desk for a couple of minutes (although I suppose this picture is not particularly strong evidence). 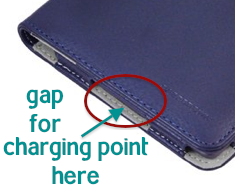 The model I am recommending has a gap between the two straps at the bottom so you can easily access your charging point without removing the case. There is also a gap in the design for your home button. No, I haven’t taken the screen protector off since I bought it. It stops my Kobo having food or fingerprints on the screen. And yes, I do read and eat at the same time. Often. The top side is open, as I mentioned earlier, so your on/off button is always accessible. The clasp is nice and strong so I have yet to find my case has fallen open in my bag. This is a good thing when so many things -keys, coins, pens- can scratch the screen of an e-reader and make it more difficult to use. The affordable price should tell you that this is not leather but it feels fine to touch regardless. If you choose your colour wisely you will see no dirt or fingerprints or any wear on it at all (as I say, I’ve been using it every day for just over 6 months). On the inside there is some softer material as well. I don’t use these that much in general but if I am on the bus, underground or train they are a lifesaver. If you are like me and tend to put your ticket away in a bag or pocket without really thinking about it and then panic later when you can’t find it, you’ll love these. I tend to read on said transportation so I can relax seeing my ticket secure on the other side of my Kobo cover. OK, it’s never going to be the same as a book, but it starts to feel similar. It’s a bit like holding a light hardback book (although obviously without the wonderful bookyness). On the up side you don’t have to worry about pages falling out or the binding breaking (I pause here to curse all intentional binding breakers: Curse you and your ways!). I know I can’t speak for everyone, but from personal experience and other testimonies, the e-reader + case really does grow on you. Thanks, I have been trawling the net to do the same and this has helped me enormaously and saved so much time! Thank you so much for this Reina! I was searching on eBay but couldn’t find many cheap (not to mention pretty) looking cases for my kobo touch. 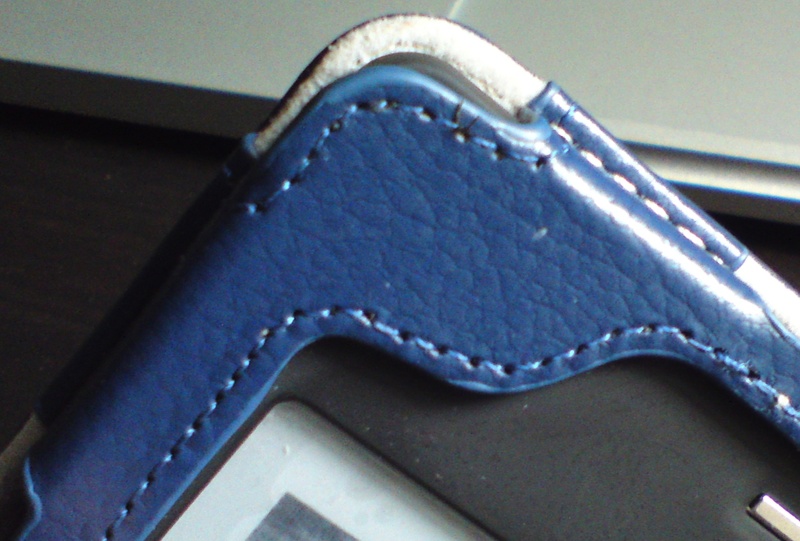 I hadn’t really thought about buying a case for it until now, since it’s now got little dents at 3 of the corners (I have no idea where they came from btw) ;( and I’m about to take my e-Reader on a fun holiday trip. Instead, I found myself admiring the kindle cases with awesome designs and stunning colours. Maybe, just maybe I thought that I could get a kindle case for it. Then I stumbled across your post and WOW! They can be used! And LOL for the: ” 4 bits of string between your Kobo and certain e-reader death” xD I was looking at the same type of case and thinking the same thing, but I love how you phrased it 😉 Now I have no doubts for buy the perfect (and most importantly cheap) case for my baby! It’s quite reassuring to know that I won’t be wasting $6.50 too. Glad I could help. I hope you find yourself a good case!